Although bone-weakening osteoporosis is quite common among older people, it isn’t an inevitable part of aging. There’s a lot you can do to shield your bones from this disease. The best insurance against osteoporosis is building the strength of the bones by increasing the calcium content of the bones. There is still much you can do to preserve the bone you have and perhaps even to replace lost bone. Daily weight-bearing exercise, like walking, is the best medicine. Getting enough calcium and vitamin D are two other critical strategies for keeping bones strong. Calcium is an important nutrient for building bone and slowing the pace of bone loss. How much calcium? The recommended daily intake for calcium is 1,000 milligrams (mg) a day for adults up through age 50 and 1,200 mg a day for people ages 51 and older, when bone loss accelerates. With age, the intestines absorb less calcium from the diet, and the kidneys seem to be less efficient at conserving calcium. As a result, your body can steal calcium from bone for a variety of important metabolic functions. 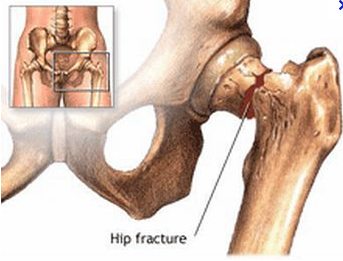 If this happens bone suffers and bone loses its strength and is at risk of falls and fractures. In building bone, calcium has an indispensable assistant: vitamin D. This vitamin helps the body absorb calcium, and some researchers think that increasing vitamin D can help prevent osteoporosis. Milk sold in the United States is fortified with vitamin D. Vitamin D is also prevalent in fortified breakfast cereals, eggs, and vitamin supplements. Some brands of yogurt are fortified with it, as well as some juices. If possible, a small amount of sun exposure can help your body manufacture its own vitamin D — about five to 30 minutes of sunlight between 10 a.m. and 3 p.m. twice a week to your face, arms, legs, or back without sunscreen will enable you to make enough of the vitamin. People with fair skin that burns easily should protect themselves from skin cancer by limiting sun exposure to 10 minutes or less. Food and sun exposure should suffice, but if not, some experts advise getting 1,000 IU of vitamin D daily from a supplement. Bottom Line: Take 1000mg of calcium and 1000units of vitamin D and you will take good care of your bones and prevent bone fractures. You are currently browsing the archives for the calcium category.